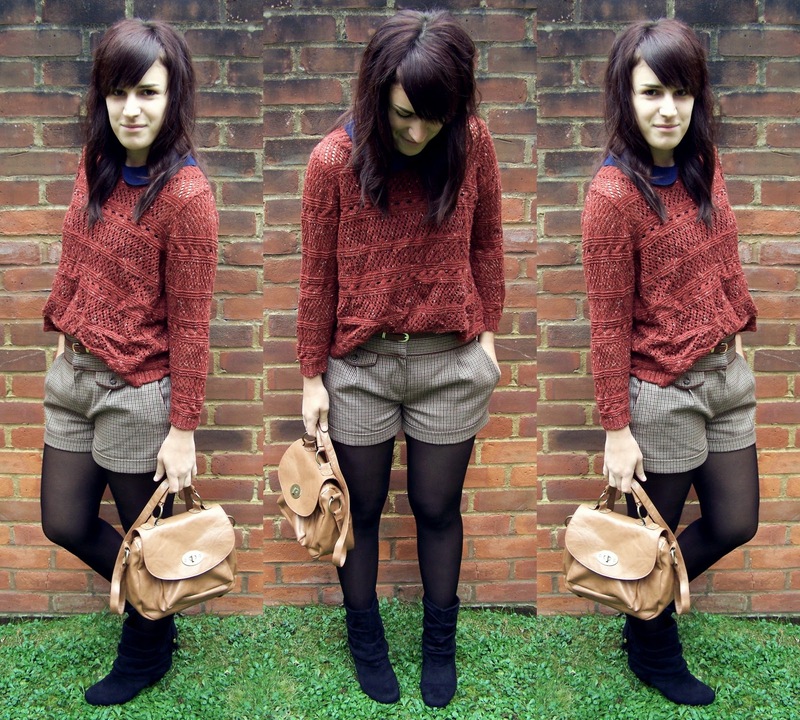 Knit, Blouse, Shorts, Bag & Boots: Primark. LOLZ at the fact I'm basically a walking Primark today! These were all purchases in the Summer (because I'm weird like that) and the blouse is Mama Mcfred's which I STILL haven't returned. OOPS! I love popping home every few weeks, and seeing what's in her wardrobe that I can steal! And then just accidentally forget to bring them back (I bet she'll be reading this and writing a list of things I have stolen now!) To be fair, my mum is a lot cooler than me. She buys the expensive stuff. And I wear it. I wore this to go food shopping.. classy right? Pottering around the supermarket in these heeled boots was not really a good idea, although a laugh for everyone else shopping! And myself and Matthew, have agreed that every time we go shopping now, we only get a basket.. it saves us buying so many things!! WINNER! Maybe for clothes shopping I should leave my bank card at home? Then YES. I do. Gross right.